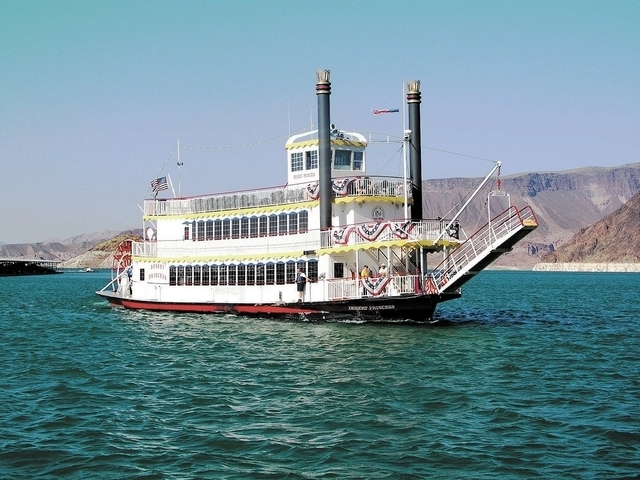 The longtime operators of Lake Mead Cruises plan to hand over operation of the Desert Princess paddlewheel boat tours to a multinational corporation. Philadelphia-based Aramark, which operates food, facility management and uniform services in 22 countries, was recently awarded a 10-year concession contract by the National Park Service to operate Lake Mead National Recreation Area’s sightseeing boat tours. Aramark’s parks and recreation division provides hospitality services at seven state and national parks throughout the United States, including Denali National Park and Preserve in Healy, Alaska; Olympic National Park in Port Angeles, Wash.; and Glen Canyon National Recreation Area in Lake Powell, Utah. As a requirement of the new contract, Aramark will operate the tours at least twice a day, five days a week from March through October, and once per day, four days a week, in February and November, the Park Service said. The contract also requires Aramark to continue offering a snack bar with a range of beverage options on the Desert Princess and landing facilities. The Park Service plans to lease the Desert Princess and the landing to Aramark, park service spokeswoman Christie Vanover said. The park service purchased the landing in 2011 and the boat in 2012. However, additional details are unknown because the contract has not been finalized and signed, Vanover said. She anticipates it will be signed in December. “Aramark was selected, but the contract still needs to be finalized and signed before we know the transition date and details of cruises offered,” Vanover said. Under the contract, Aramark is allowed to change the name of the Desert Princess if it wishes, Vanover said. It is unknown whether the business name will change or continue to be called Lake Mead Cruises, Aramark spokesman David Freireich said. At peak season, Lake Mead Cruises employs about 30 people, but the staff is reduced during the winter months, said General Manager Lisa Stephens. Stephens could not provide transition details, stating last week that she had not yet had any contact with Aramark. However, she said the transition is scheduled for sometime in December. According to the Lake Mead Cruises website, cruises will operate “as usual” through Dec. 31, with departures at noon and 2 p.m. Monday, Wednesday and Saturday. The website states dinner and champagne brunch cruises will resume in the spring. Lake Mead Cruises owners Rod and Meg Fair have operated the Desert Princess and the business for 25 years, but decided to “move on to new adventures,” according to the website. The Park Service solicited bids for the new contract April 5 through June 26. The Fairs did not bid.